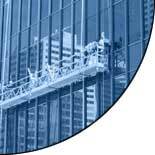 National Janitorial Service, Inc. provides window cleaning services using the best equipment. Our highly trained staff can make your glass windows sparkle like new all year round. We can design a window cleaning program that will fit your cleaning requirements and budget.